There they stand, eager to be reviewed. Should I choose onedotzero’s motion blur 2, its neon-green acrylic slipcase and grey felt cover a cunning representation of homespun desktop digital culture with a dash of cyberpunk? How about Stephen Bayley, the Christopher Hitchens of design criticism? His recent book, Cars, with its velveteen cover, library-grade sturdy black slipcase and simple layout, smacks of important cleverness. (Lars Muller, 2007; reviewed by David Barringer in ‘Cool as a Muji candle in the snow’, Eye 66), it is an oasis of calm among the throng of books on my desk. At first Designing Design feels almost a boring choice. 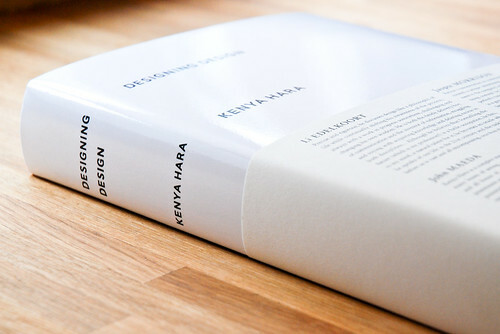 It has a plain white cover, itself wrapped in an off-white band on which is printed the beginnings of both the preface and the introductory essays. 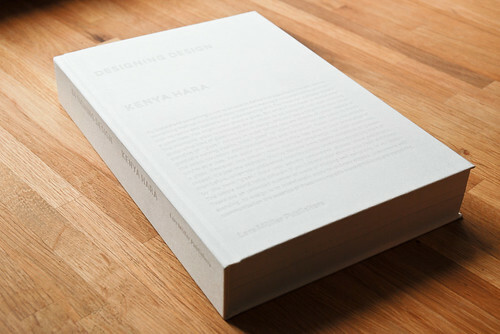 Unwrap the band and the white dust jacket, minimally set with bold, sans-serif type, looks rather no-brand, just what one might expect from the art director of Muji. 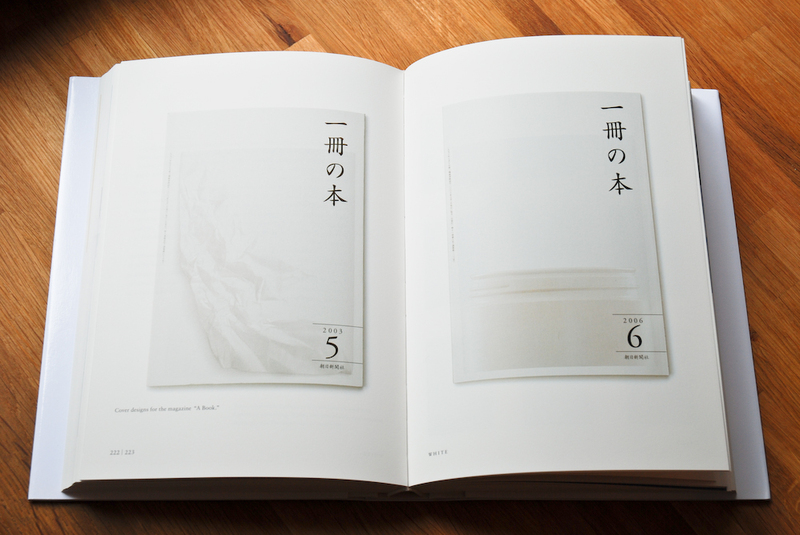 One more unwrapping reveals a sensuous fine white-cloth hardcover, set with embossed white type. Tilting it towards the light you can again read the preface excerpt. Turning to the title page, you find it covered by a delicate piece of handmade paper, itself protected by another sheet of waxed paper. 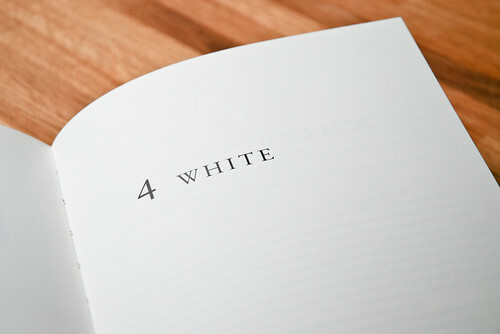 Once you are finally inside, the book is elegantly typeset without drawing attention to itself. The Tri Pine Silk paper from Kye Sung carries the type as beautifully as it does the colour plates. The chapters are cleanly laid out with nothing remotely flashy or over-worked, every page lovingly crafted. It is impossible to separate the form from the content of a book – the two are as intimately bound together as the pages themselves. 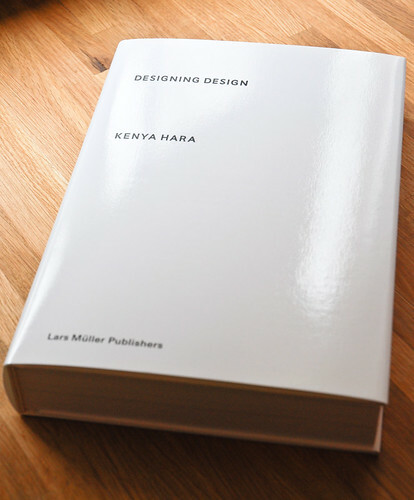 As Hara takes the reader on a journey into his approach to design, the physicality of the book reinforces every word. It is a perfect balance of style and content, action and non-action. Even the thickness of the book appears to perfectly match the dimensions of it. Its weight conveys maturity without grandiosity. On picking it up I am always struck by its weight and sense of worth. When I put it down after reading, I cannot stop myself from gently stroking the cloth cover in appreciation. Sitting on my desk next to all the other design books that are screaming their style credentials, Designing Design emanates a quiet, deep confidence. No braggadocio required. 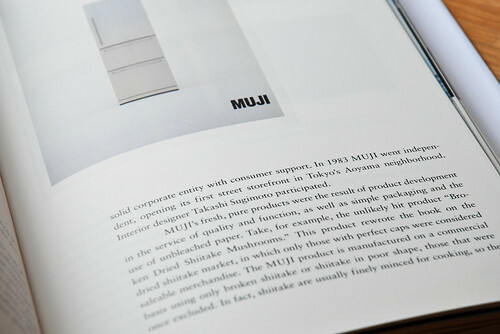 Like the subtitle of the Muji chapter it is ‘Nothing, Yet Everything’. As Zen as a book could be, it simultaneously stimulates and soothes the senses like a smooth pebble perfectly placed on meticulously raked sand. Andy Polaine is an interaction designer, writer and editor of The Designer’s Review of Books.